After the emotional fuss on the Federal Reserve’s tapering of mortgage-backed securities purchasing a few weeks ago, the hot air is coming out of the balloon. Mortgage rates continue a slow but steady drop this week from their highs of 4.75 percent. Now, the current rates are solidly below 4.5 percent on the 30-year fixed mortgage bellwether. Add to this deflation economic reports coming out that people are not spending as much as expected, at least on the retail front, and the sails are starting to go slack on the Good Ship Rate Hike. Lenders are also all over the place. Instead of consolidating on a tight range of loan offers, lenders are instead ranging anywhere from 4.4 percent to as much as 4.625 percent on 30-year loans. Additionally, many are making additional income up front offering points to bring a new loan rate down further to 4.25 percent. This fluctuation makes it hard for the average to settle down in a particular band, instead moving with volatility from day to day. For the borrowers, it often means more cash up front, but the savings in less interest paid are recovered within the first five years of the loan. Many eyes are still watching the Feds to see what Bernanke and company do at the end of July. Some signs of this will come with Bernanke’s testimony to Congress later this week, but the big news is already out. So unless Bernanke is suddenly going to change course again in a Congressional hearing, which is extremely and highly unlikely, the only changes that may be disclosed is how soon the tapering of purchasing will occur. Since Bernanke already pointed to mid-2014, there’s not much point is saying more, but folks are watching anyways. In the meantime, the 30-year fixed mortgage average is currently in the range of 4.45 percent, and the 15-year counterpart is at 3.6 to 3.75 percent. 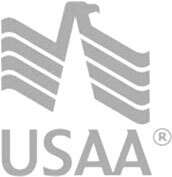 The FHA/Veteran’s Administration rate sits comfortably at 4.25 percent, and the 5-year adjustable rate mortgage is now between 3 and 3.4 percent.